The post I wrote about working with the French Army has gotten more attention than almost anything else I’ve written. Many readers, both French and American, have commented here, on breachbangclear.com and on several other sites where my blog was shared. 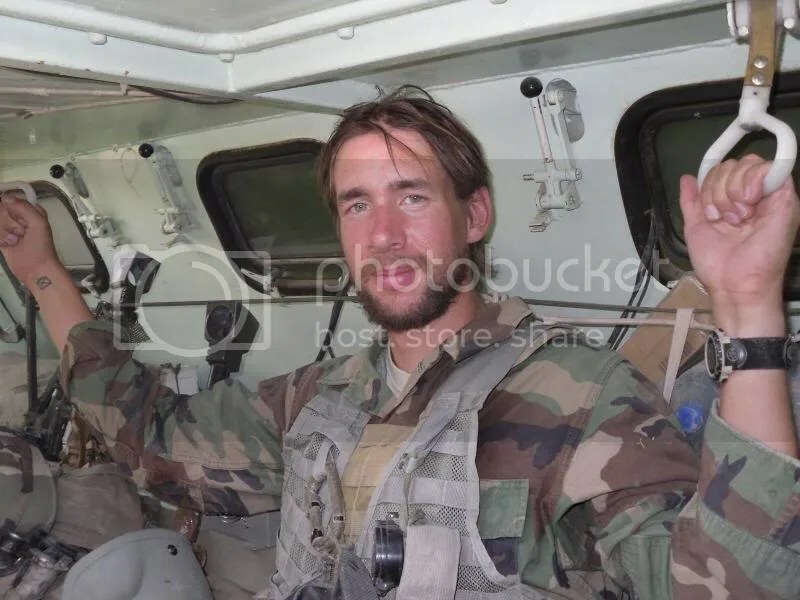 A short email interview with me was published on the French military blog MarsAttaque (http://mars-attaque.blogspot.fr/2013/07/interview-with-us-good-guy-in-bad-lands.html), an honor for which I am extremely grateful. More importantly, almost every American Soldier, Marine, Airman or Sailor who has commented on my article has praised the French military. A few quotes are below. I like to think that we veterans who have direct experience will help change the perception Americans have about French troops. We have much in common as soldiers and as nations; France owes America a great debt for what we did in World War 1 and 2, America owes France for their invaluable assistance that helped us become a nation. I think our debts to each other have been paid. From this point forward we should view each other solely as allies, partner nations with proud traditions and prouder histories. In World War 2 my great uncle Jesse Hernandez was a paratrooper in the 82nd Airborne, and made the Normandy jump. 65 years later I also fought alongside French troops, to defend the same values, nations and people as my uncle Jesse. 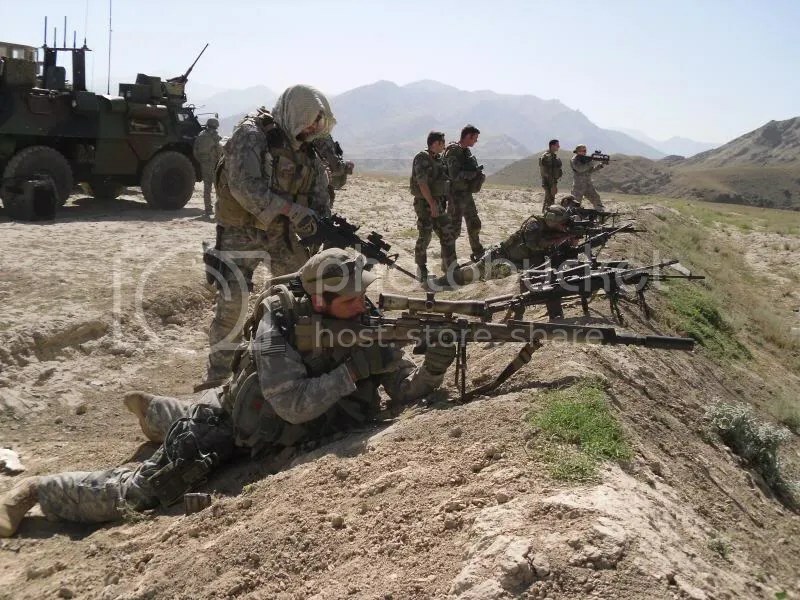 Whatever views anyone holds about the French, I will always be proud that I lived through those amazing times in Afghanistan, and fought beside brave, dedicated Frenchmen and Americans. 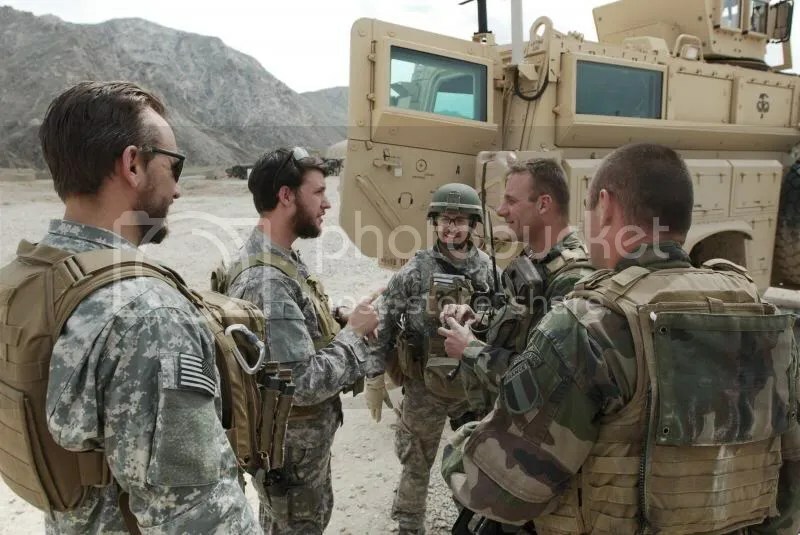 Below are more pictures from Afghanistan, showing American and French soldiers together in training and on missions. All photos are from my personal collection unless otherwise credited. 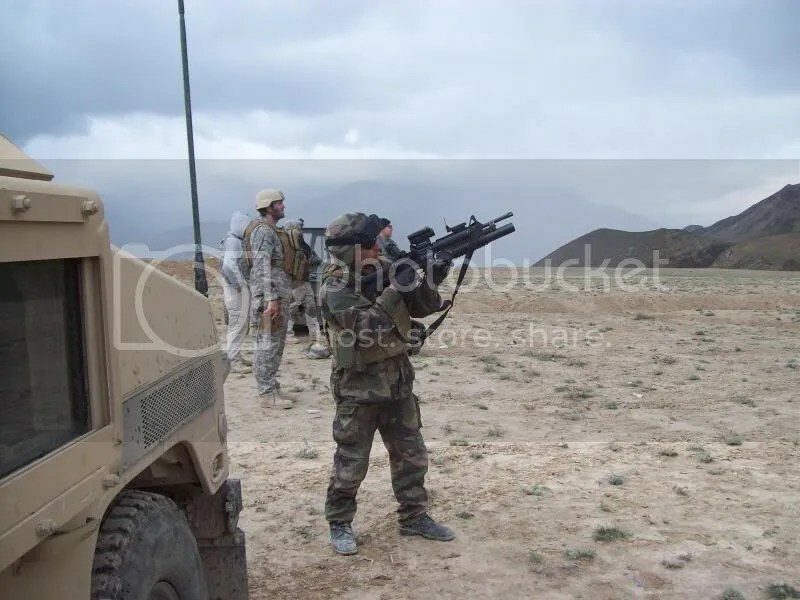 Me firing a French FRF2 7.62 suppressed sniper/marksman rifle. 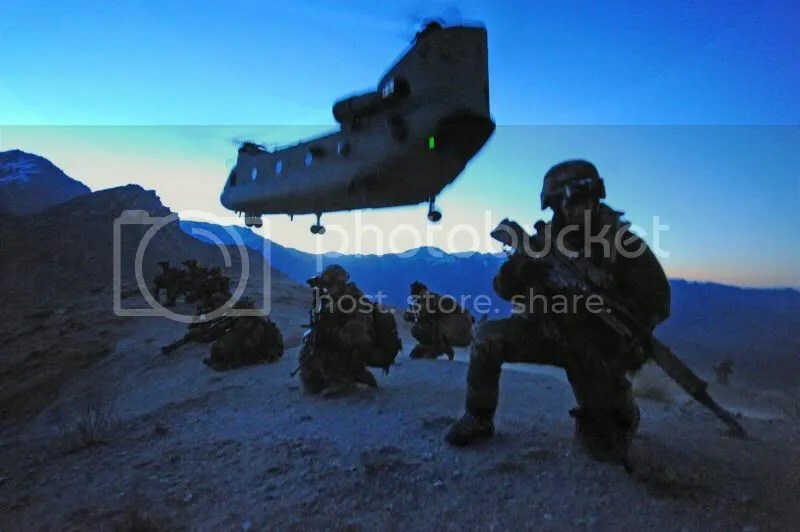 French Army and Air Force troops, American Soldiers and Airmen in background. 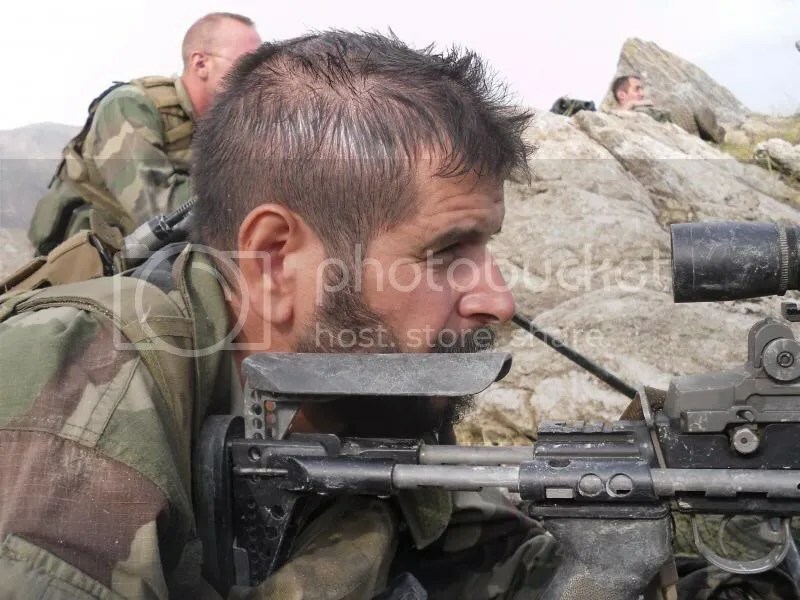 French 1st Sergeant firing an M203. 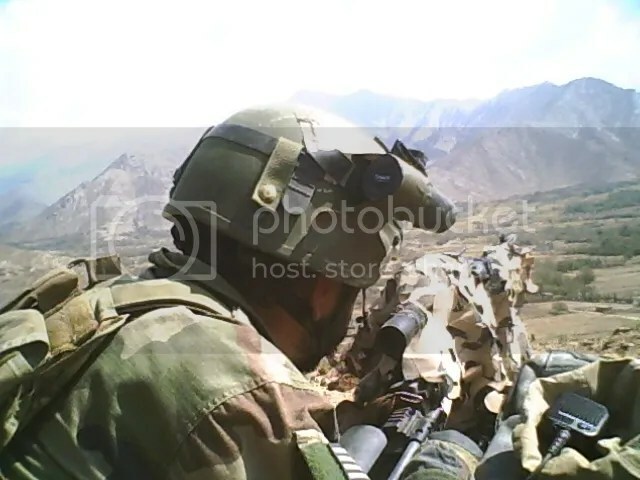 French sniper firing American Barrett .50 caliber sniper rifle. 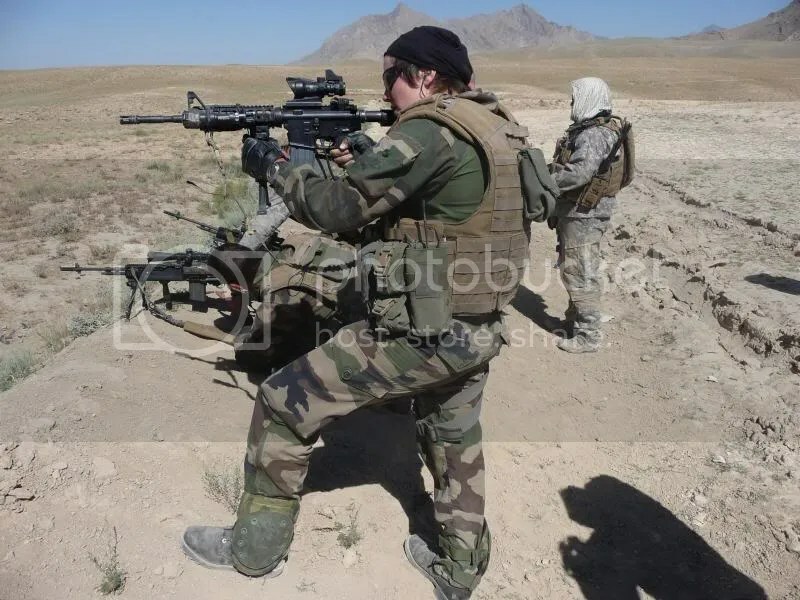 French female soldier firing American M4. That woman was super cool, carried her gear and did her job without complaint, and was highly respected by me and my guys. 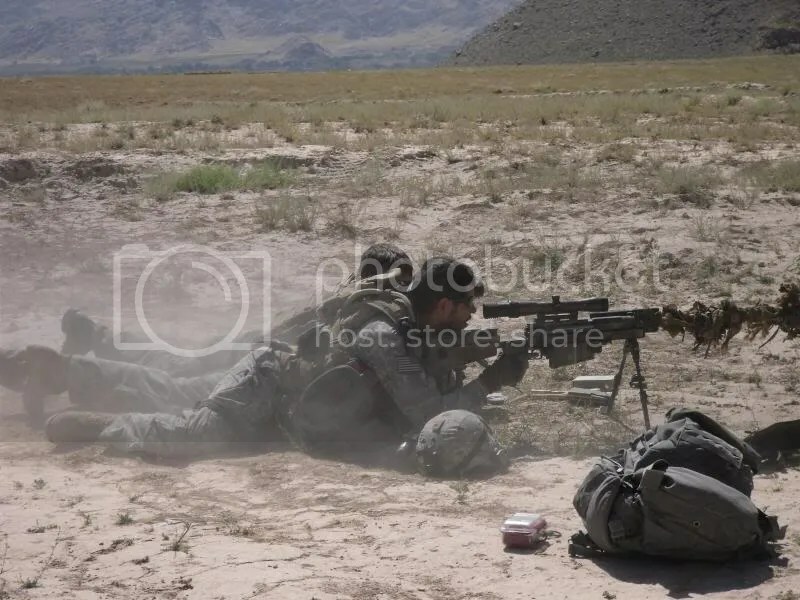 Me firing a French PGM .50 caliber sniper rifle, with a French sniper next to me talking me through it. I managed to hit a torso-sized rock at 980 meters with my second shot. I’m pretty sure that’s because the rifle was so accurate, not because I have any skill. 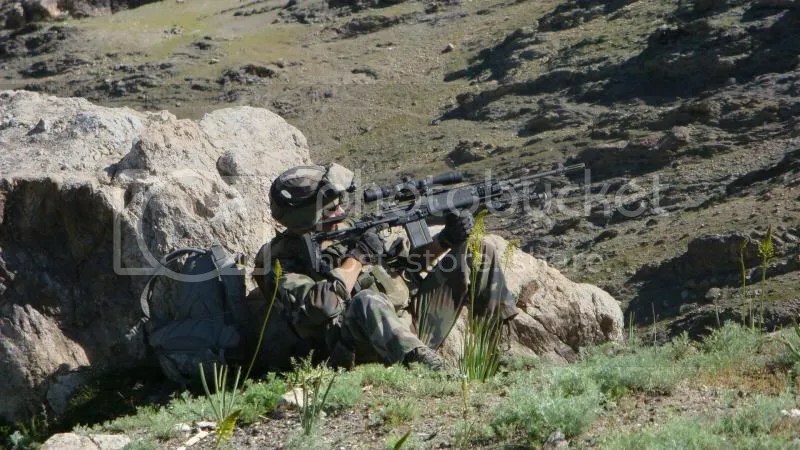 A member of the Groupment Comando Montagne (Mountain Recon Platoon) with my M14 on a patrol in the Alasai Valley. 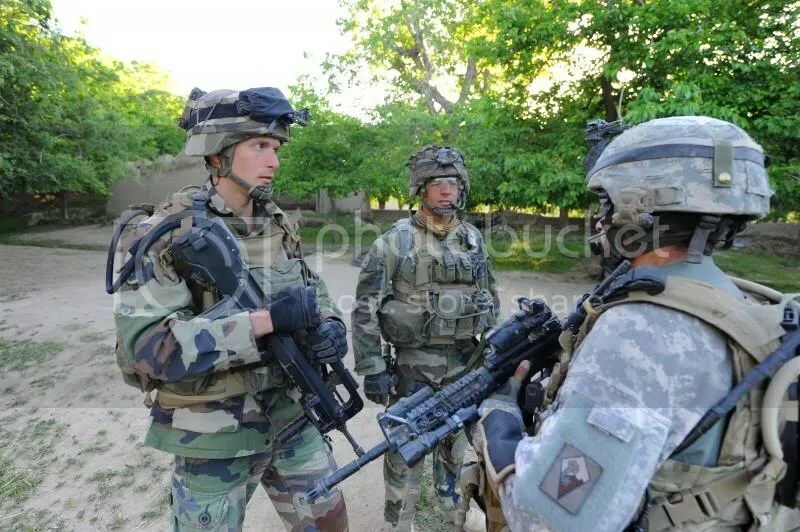 Americans and French on a search mission. 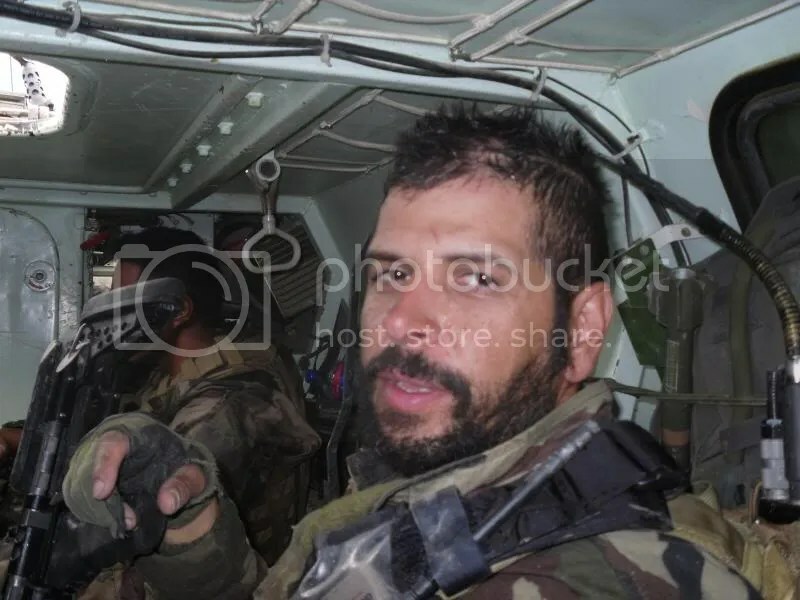 A French sniper and me in the back of a VAB French armored vehicle after a mission. I’m wearing a French camouflage uniform with American flags because their camouflage was way better than our ACUs in that environment. That’s a French Marine Regiment patch on my left shoulder. I was proud to wear it. Also, the “horns” in my hair are from the helmet pads pushing the top of my hair down. One of my soldiers in the back of a VAB. 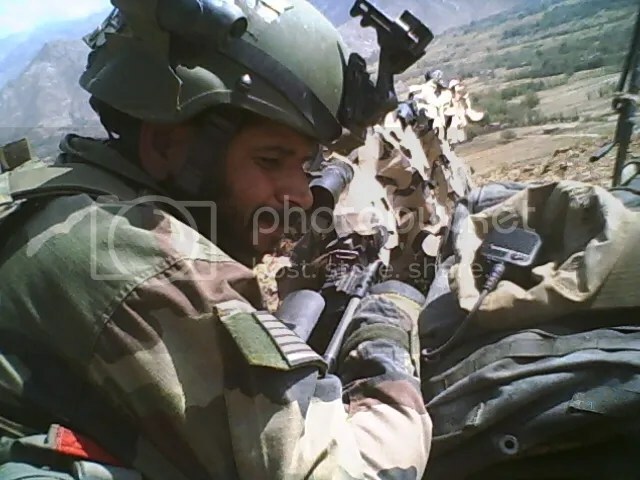 The muzzles of two PGM .50 caliber rifles are to the left (his right). 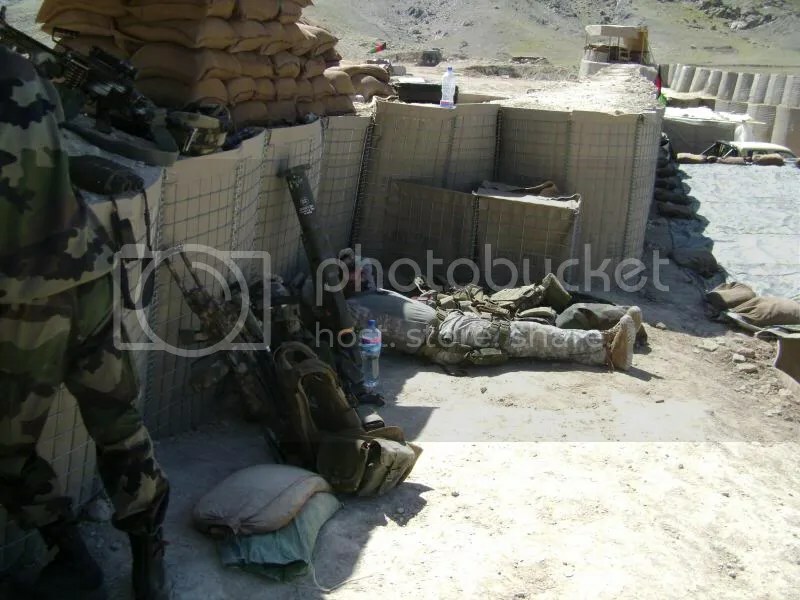 Note the infantry platoon map symbol tattooed on his wrist. Three of my American friends preparing to leave the wire on a mission with the French. 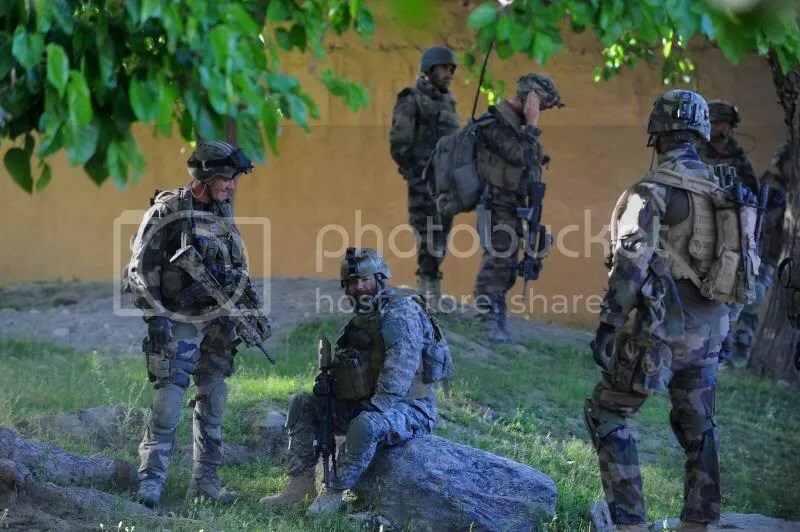 US military photo. All the above photos are by the amazing French photographer Thomas Goisque. 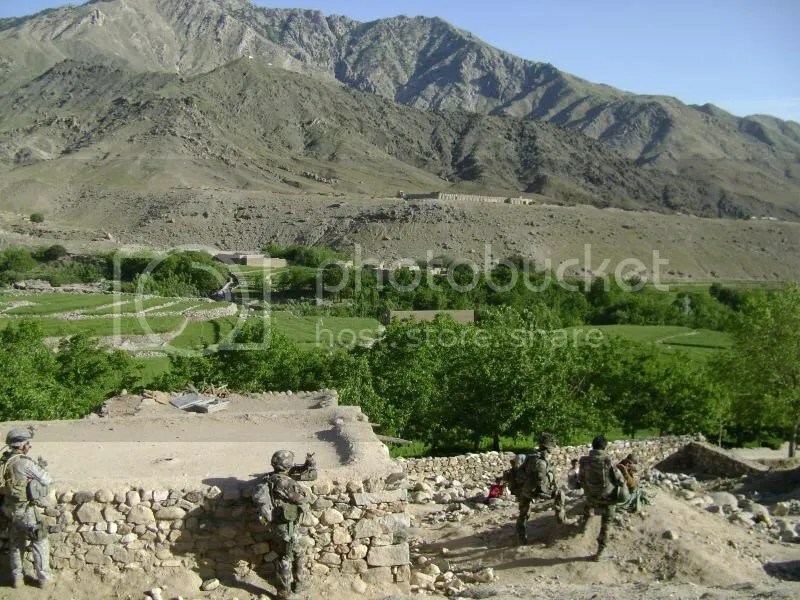 Thomas was a former Mountain Troops officer who embedded as a journalist with his old unit in 2009. 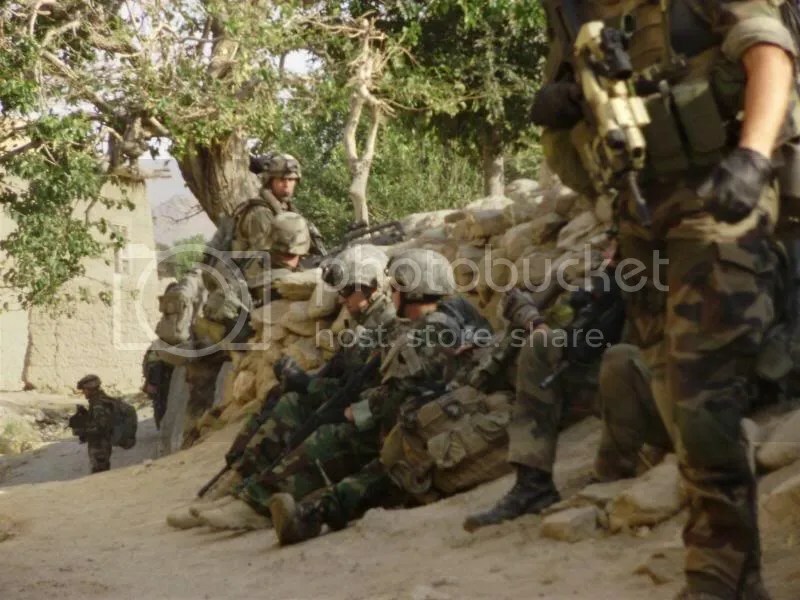 He took some of the best combat photos I’ve ever seen, and graciously allowed me to use one of his photos for the cover of my novel Proof of Our Resolve. 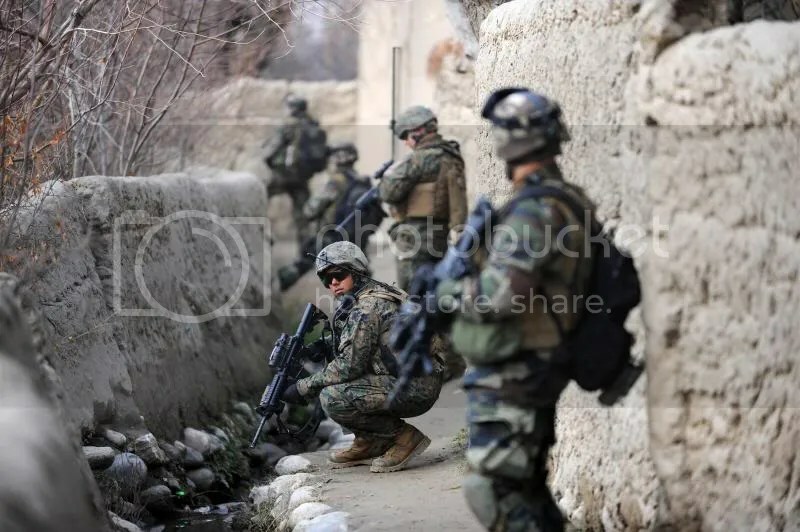 You can see some of his Afghanistan photos at http://thomasgoisque-photo.com/site.php?page=reportages&spec=def&id=64. Me and the Mountain Troops at the end of a mountain patrol. Photos by Thomas Goisque. 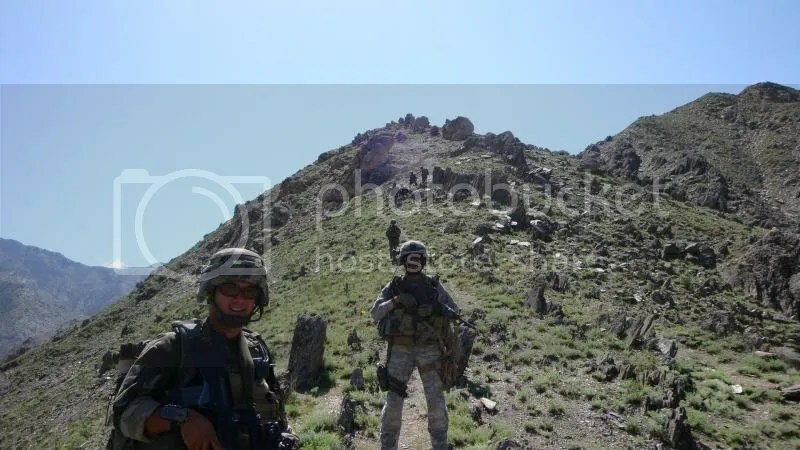 Me on a mission with the Mountain troops. I proudly wore the Mountain Troops patch until the French Marines came in and threatened to beat me severely for not wearing theirs. Photos by Thomas Goisque. 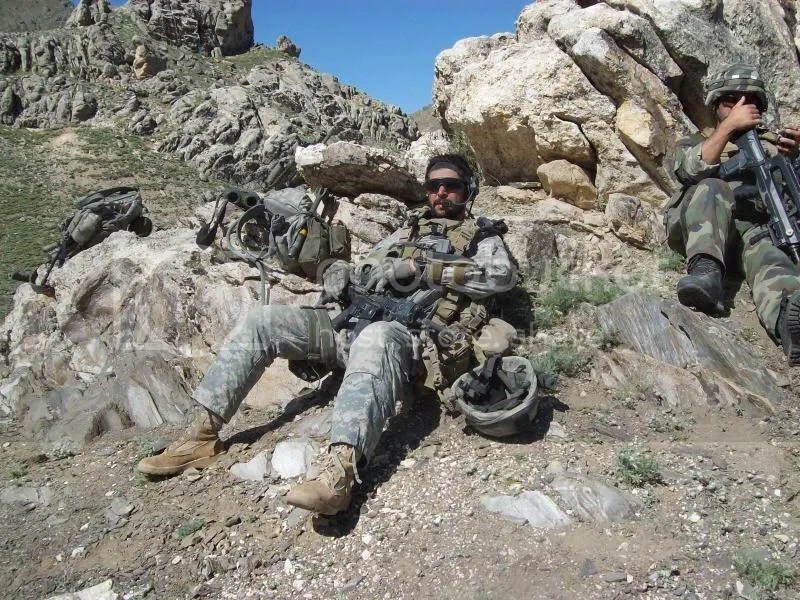 Me on much-needed break during a patrol with the Mountain Recon Platoon. They had dragged me up a mountain the day before and I barely made it. On this mission, they told me “Don’t worry, we’re just going on a short patrol down a road. Just a few kilometers.” I agreed to go, and those jerks somehow veered off the road and headed at an angle up the side of a mountain, then circled around over the top, and wound up dragging me along the same route we had been on the day before. I kept up that time though. That was a proud day for me. On patrols and inside the wire during a short stay at an outpost in the Alasay Valley. This is one of my favorite pictures. 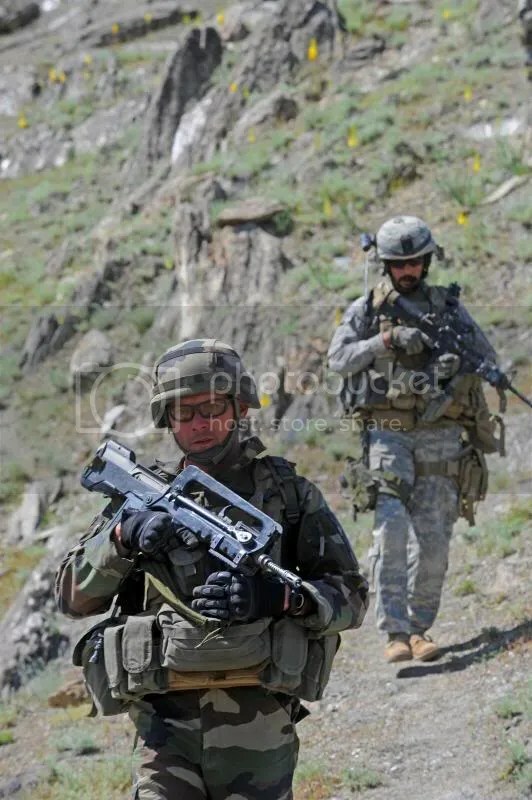 One of my team members and a French soldier on a mission. 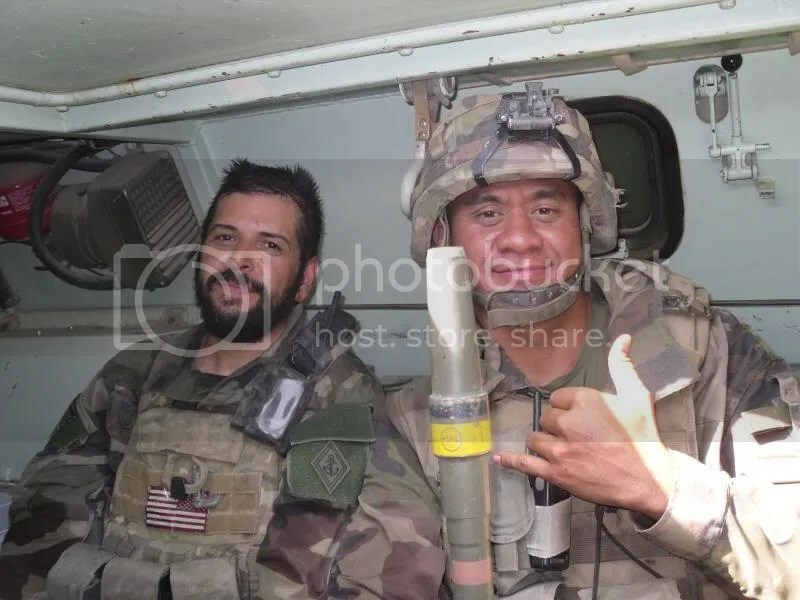 Those two became good friends and were always excited to see each other, despite the fact that my soldier didn’t speak French and the French soldier didn’t speak English. Photo by Thomas Goisque. 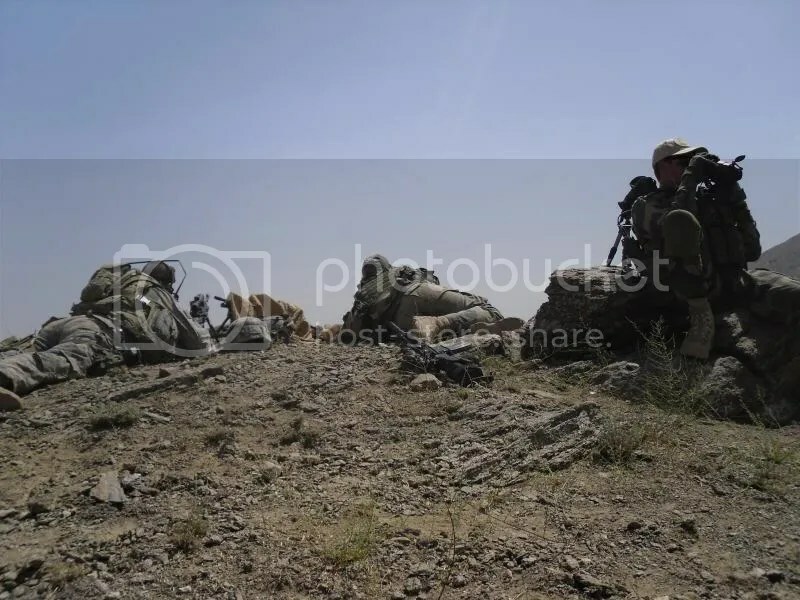 Me and one other American on a patrol in the Tagab Valley with the Mountain Recon Platoon. I freakin’ love this picture. Photo by Thomas Goisque. 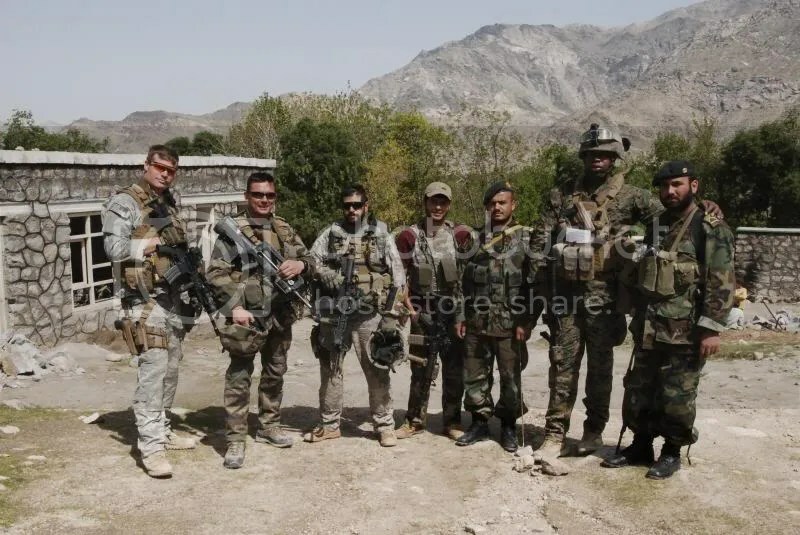 American Soldiers and Marines with French and Afghan troops. 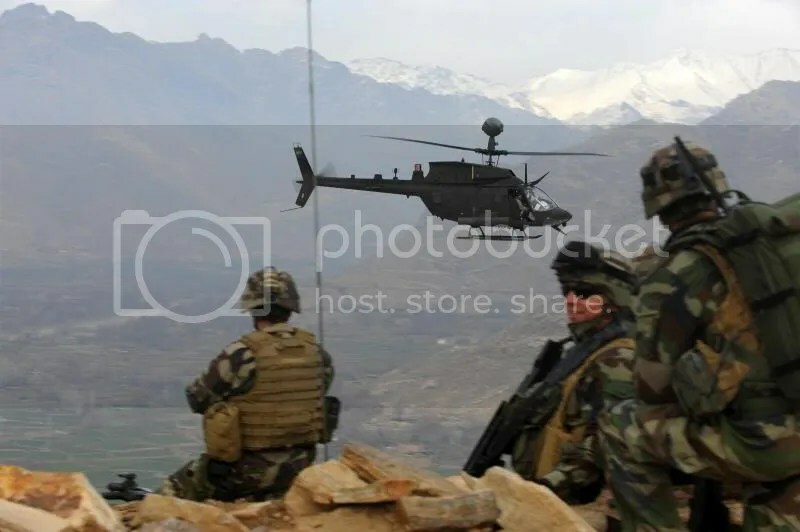 US Military photo. During the “Even God hates us” mission, where three French troops were killed by a hailstorm. This was taken while we were overwatching French troops as they searched for two men swept away in a wadi. In the VAB at the end of the “Even God hates us” mission. Yes, I look terrible. I think I was more exhausted than I had ever been in my entire life. The guys back at the firebase were worried as hell about us; when we got back to the firebase, one of my soldiers hugged me as soon as I got out of the VAB. 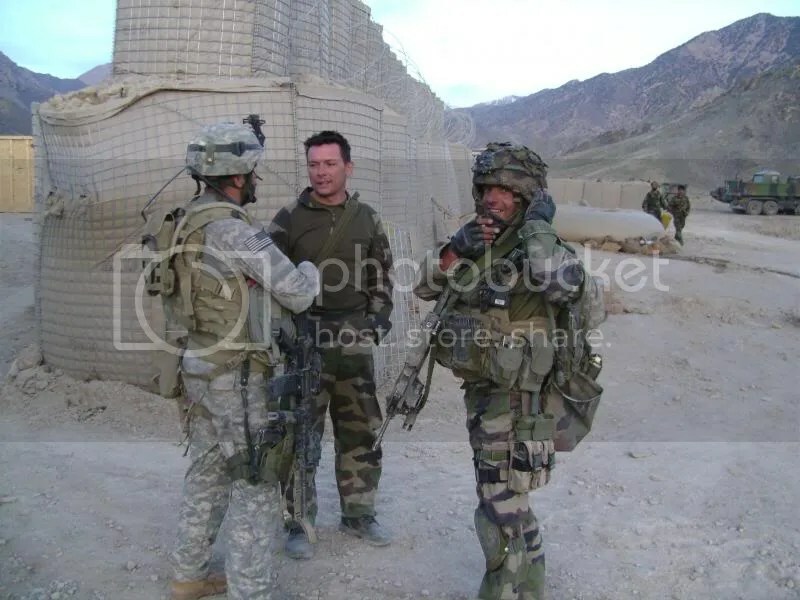 Me with a French sniper and spotter. 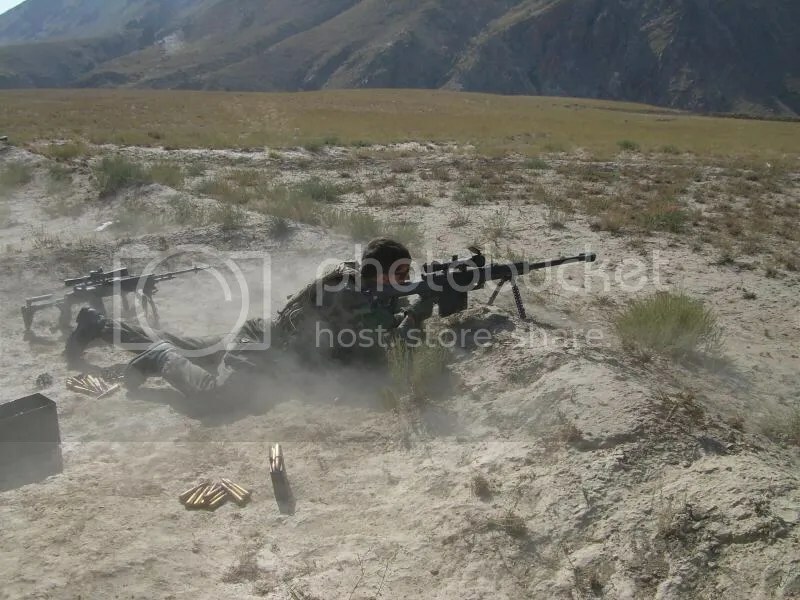 Desperately searching for a target during a firefight in the Afghanya Valley, Kapisa Province. Right around this time, we were getting shot at from several directions. Rounds were zipping over our heads. And I never saw a single enemy, never saw muzzle blast, never had even a hint of a target. 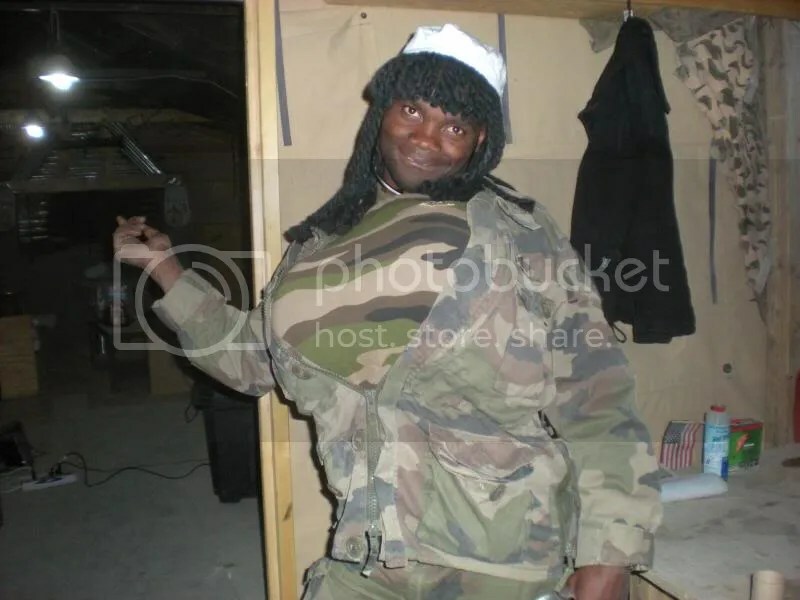 Photos taken by the French sniper team leader. Looking past my rifle into the Alasay Valley. 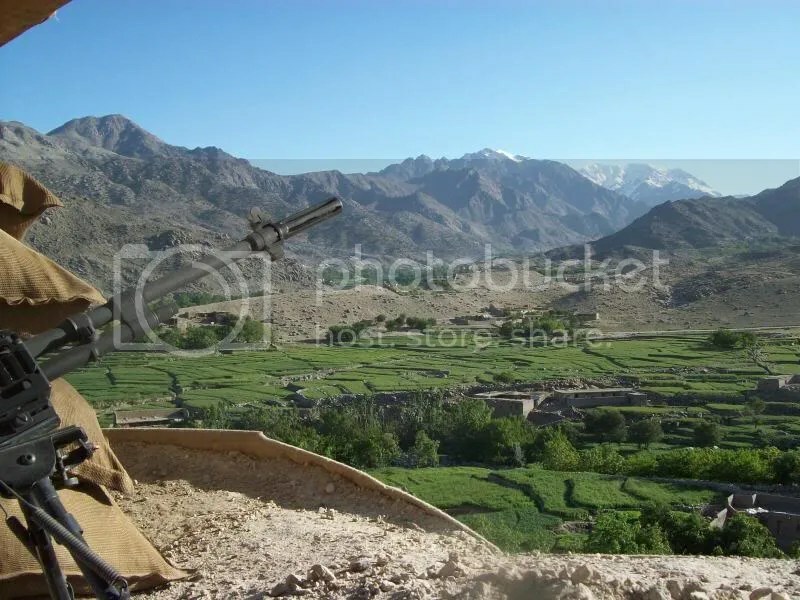 Afghanistan was probably the most beautiful place I have ever seen in my life. 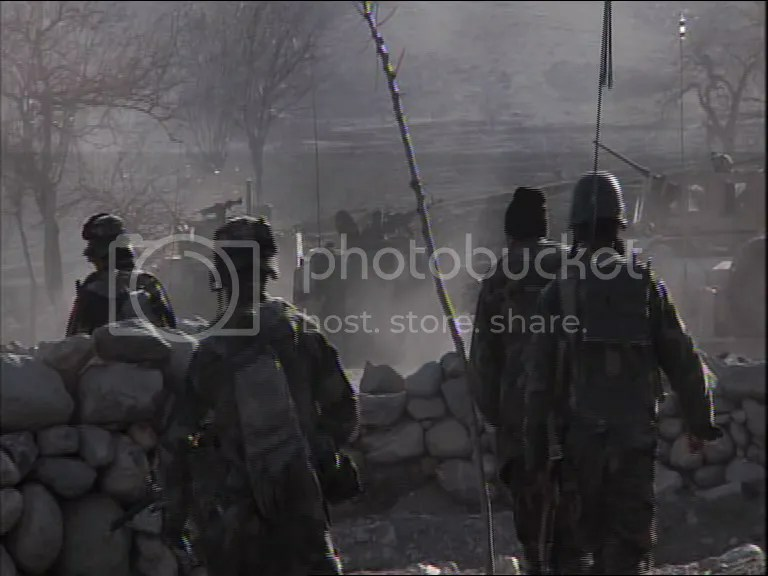 French and Afghan troops advancing into the Alasay Valley. 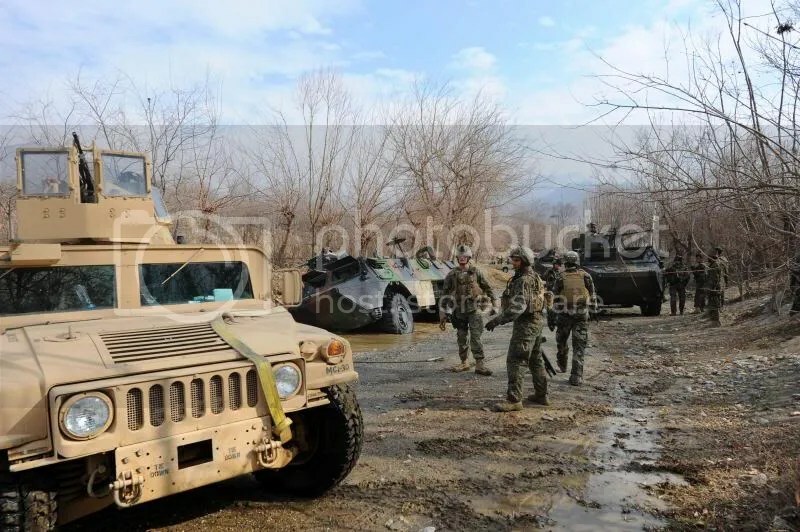 I’m pretty sure that’s me on the right, in the humvee turret. Still from a video by Thomas Goisque. Yes, they are. Here’s the most beautiful of all. This was taken at our epic halloween party, not long before I left Afghanistan. But here’s a better example of an angelic-looking Frenchwoman. Photo by Thomas Goisque. That’s all for now. 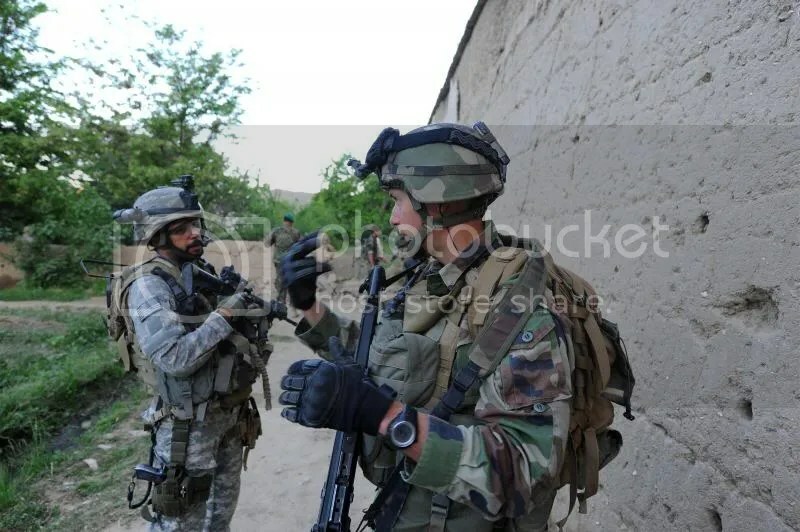 I hope you guys enjoyed seeing a little bit of my Afghan War. Great pictures and fine commentary! But how-in-heck did you get away with the beard? Only Delta gets issued beards, right? I was fortunate to have permission to grow a beard because of my job. C’est très impressionnant pour moi: des moments de vie figés par la photo…en pleine guerre ! Merci Daniel, I am glad you enjoyed the photos. Congratulations on all your successes and nice reviews. Thanks for sharing these wonderful and priceless pictures with us. When I was home and ran into soldiers everywhere, I often wondered about their thoughts, lives and personal struggles defending a foreign country. I only knew one side of the story but your blog completes the story and a great one. Keep it up and thank you for serving! Thank you, Manal. How’s your book coming along? Peoria resident Ted Dzeipak, 85, served with the Army’s 506th Parachute Regiment in World War II. He says he became a paratrooper because “I was young and looking for thrills and adventure.” On D-Day, he jumped into France and spent about six weeks there, harassing German troops. He then returned to England and later made a combat jump into the Netherlands, where the fighting with Germans was intense. Very nice pics, Chris! 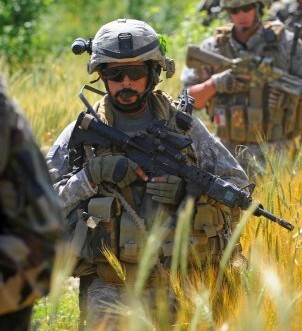 Don’t all Special Ops Forces get away with the beard when deploying over these areas? 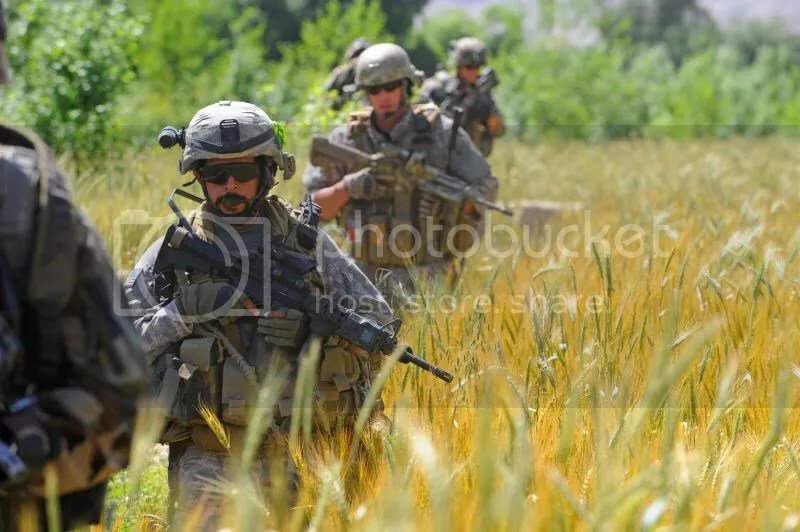 I see a lot of bearded men here, in AFSOC, and they are usually just about to deploy. Or so was I told. As an airman, I still can’t get my head around this deadly hail storm. What a tragedy, what a waste… Did you hang the weather forecaster on the way back? Can’t give a long response now, but just to make sure there’s no misunderstanding, I was never in Special Forces. The SF guys I saw were usually bearded, don’t know if they all were though. Okay, I have more time now. Most or all SOF units operate under a memo of relaxed grooming standards. A few other people get to do it as well, for specific reasons related to their jobs. I was fortunate to have one of those other, non-SOF jobs. Although it was a pain keeping the beard groomed sometimes, and wearing a helmet chin strap with a beard is kind of painful. I liked the beard, though. My wife hated it. I keep telling her that as soon as I’m retired from the military and law enforcement, bam! Instant scumbag, I’m never going to shave or get a haircut again. She’ll probably figure out some way to foil my plans, though. About the hail storm, I never found out if anyone checked the weather. My understanding is that it was a freak, unexpected storm, but I don’t know. I personally was never mad at anyone about it. I don’t think anyone could have expected a Marine to get hit by lightning, and two Soldiers to drown. It was just crappy luck for all of us. You back to America with some piece of french inside you. This experience change you my friend. i’m 45 years hold and vétéran paratrooper, i been in Tchad, Irak in 91. I purchase your book in ibook. Tu a déteint sur nous, et tu es notre frère d’arme et ça aucune frontière géographique ne compte à nos yeux. I came back home with a very strong appreciation for France, and I treasure the friendship I have with my French comrades. Thank you for your service, and I hope you enjoy my book. Please don’t apologize for your English, it is much better than my French. Excellent article. As a Prowler guy, we flew over the Tagab valley quite a bit–always appreciated what the French were doing down there. Thanks Michelle, I appreciate that and I know a lot of other guys do as well. I admire how sincere and continuous is your friendship for french soldiers. Bless you. Great piece of friendship and respect. I would have liked to be one of your comrades. In fact what i really learned about is how great guys you have in america’s military. My apologies to have had the same types of stupid stereotypes that made you write this article. 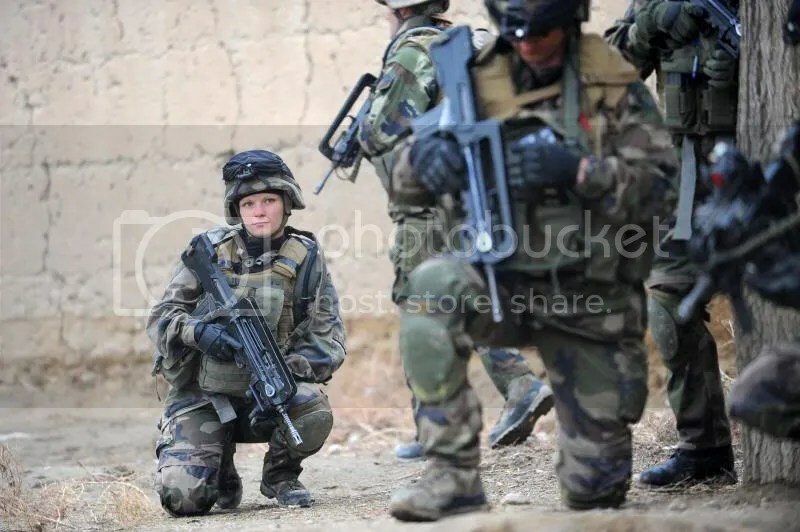 I guess that means you support women in combat after seeing strong and good fighting french women?! I support women in combat *if* they attain and maintain the standard. No lowered standards, no different expectations. I think very few women are interested in or capable of being infantry. But those who are should be allowed to serve in that role. Thank you I agree. I alway knew, no offense to marines, that the study that they did on women in combat was JUNK. After all they were biased against women. And yes in the old day they did a study on “negros” saying the same thing like the marine study. Plus France isn’t the only country with women in combat. There is Sweden, Finland, Norway, Germany, Estonia, Lithunia, Romania, Spain, Australia, New Zealand, Canada,, Ireland, South Korea, Poland, etc. And they have troops in Iraq, Afghanistan, and/ Mali(mainly the French). I like French and Americans I am in South Afrika I want to join French Army wat we do.